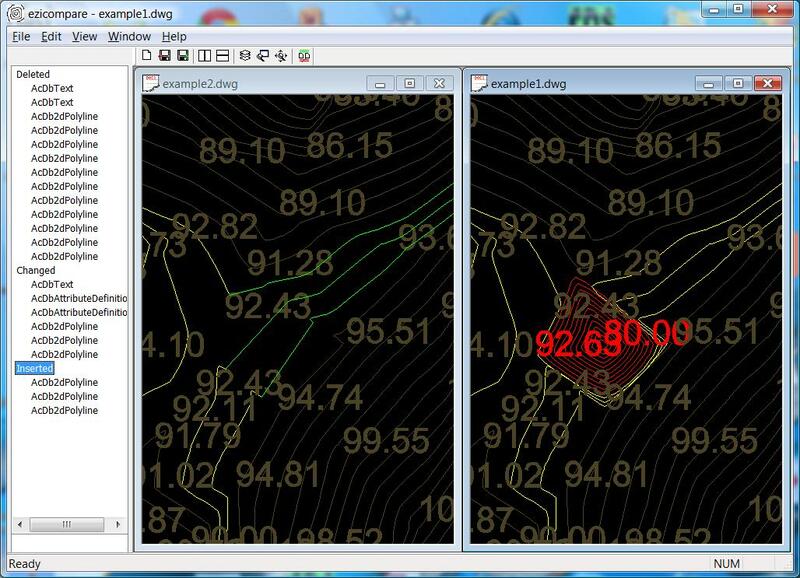 Ezicompare is a simple to use file utility that allows you to compare two similar DWG/DXF files and highlight the difference. Common entities are displayed in grey while deleted, inserted and changed entities are displayed in red, green and yellow respectively. You can save the display as a dwg/dxf for further processing / printing in Acad or similar. Please try our 30 day full featured download. It presently has an introductory price of $30. If you have any questions or problems then please do not hesitate to ask.